Discussion in 'Camping for the Medically/Physically Challenged' started by robynbanks, Jan 16, 2013. That is cool ...can you get me in the ballpark on price ? Think Outside !- No Box Required. 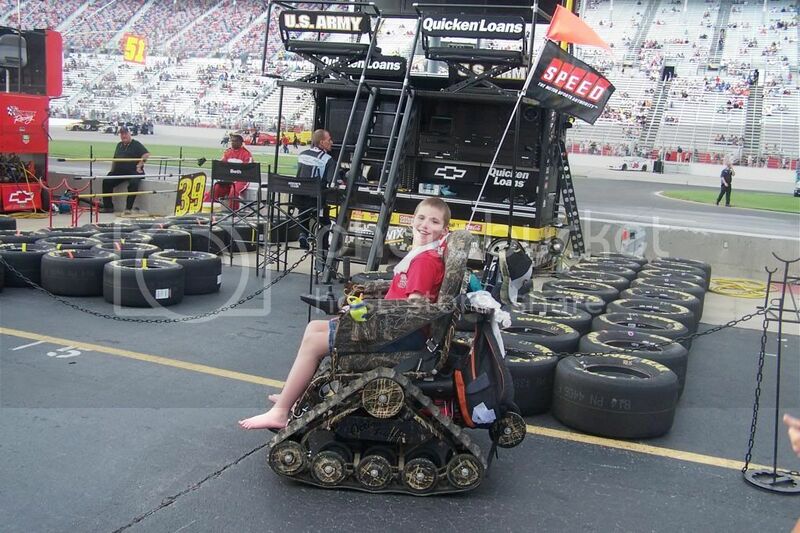 Sent the link to a friend who is an avid outdoorsman and losing his mobility - thanks for posting. From the looks of it, you will be able to share wonderful outings with your son. That is one cool chair. I am a DSW and know so many people who could use these. Couple of questions if your still around the site. What are battery run times like, speed, ease of use and any down sides you have had to deal with so far. Wow! I can see how that would be life-changing. So cool! Oh sorry it stands for Developmental Services Worker. The most fun and rewarding job I have ever had. I have been working in the field now for 8 years. I started at Rideau Regional Center which was an institution in Smiths Falls but unfortunately was recently closed and the residents thrown to the wolves or group homes that were paid big bucks to take them. These were residents that had lived there for sixty plus years. RRC was a city in itself. We had physiotherapy job skills even a dentistry office and hospital ward. PATMD SOILENT GREEN IS PEOPLE!!! That is awesome!!!! how I miss taking hikes in the woods or being able to walk on the beach again. I can walk and stand but my endurance for walking any distance is very low. Stream fishing is especially difficult, but that chair would make it fun!! I know what you men. I'm only 36 but I was recently diagnosed with Spinal Stenosis. Which is a narrowing of the spine that puts pressure on the nerves in my lower back. I am on some major pain meds but the pain is always there. I miss mountain biking and all the things I used to do. The one thing that hurts most of all is I feel like I am missing out on my girls growing up. I want to be the dad that jumps on the trampoline or teaches them how to ride their bikes but most days I can barely get the energy or feel well enough to get out of bed and do the basics. I work full time overnights at a group home for disabled adults and by the end of four nights and being home and awake in the day with maybe three hours sleep each day I am burnt right out. Then I have either three or four days with them before I go back to work. Not sure how this happened to me I was always the one swimming fishing hiking. Then about three years ago boom it hit nd it's been he'll ever since. Thats a really great chair! Thanks for sharing!